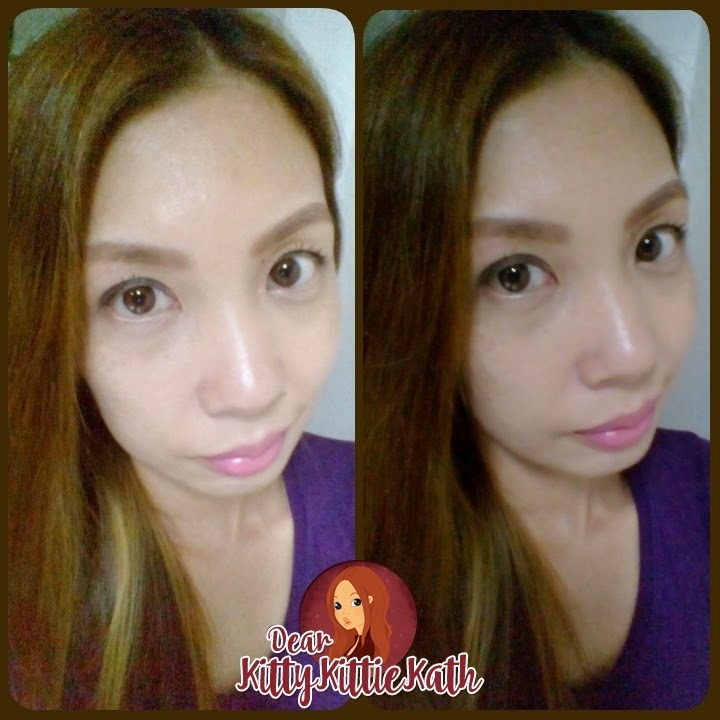 It's been ages since the last time I shared my thoughts about contact lenses plus the pros and cons of wearing them. I'm still wearing contact lenses almost every other day and I presume some of you have noticed while some have not. I've been using contact lenses for decades now. My main reason why I use contact lenses is for aesthetics only. But behind those beautiful and enlarged irises, are eyes suffering from discomforts and irritation. Not all contact lenses are created equal; most of the brands that I've tried make my eyes red, irritated, and the worst my eyelids swollen. There are so many things what I like and I don't like while wearing contact lenses but these past few years, more on the negative side has arise. Doll lenses makes my eyes doll-like but believe me, the size can be a pain in the eyes. It's so uncomfy to wear. I guess, going back to the brand of contact lens where the number one priority is the comfort of wearing will always win my heart. From Freshlook, now here's Air Optix Colors. Finally here's my honest to goodness review of Air Optix Colors Contact Lens in Gemstone Green and Brown. AIR OPTIX® COLORS contact lenses is the first silicone hydrogel colored contact lens brand in the market. AIR OPTIX® COLORS contact lenses are monthly replacement contact lenses available in nine beautiful colours, ranging from subtle to vibrant. Air Optix Colors contact lenses have an extensive color selection; from subtle enhancements like pure hazel, blue, green, grey and brown or for bold and striking eyes like brilliant blue, gemstone green, honey and sterling grey. AIR OPTIX® COLORS contact lenses are designed to enhance dark or light eyes, with a completely natural effect, and can be prescribed with or without vision correction. They are made with a unique, smooth surface and feature a technology that combines 3 colors in 1 to blend naturally with the color of your eye, so you can experience a new look that can be subtle or vibrant. With AIR OPTIX® COLORS contact lenses, Filipino women can now choose to have breathtakingly beautiful eyes. instructions for use: daily wear only, monthly replacement. Proper contact lens care is important, but not difficult. AIR OPTIX® COLORS contact lenses should be removed and cleaned daily. For best results, they recommend OPTI-FREE® PureMoist® Multi-Purpose Disinfecting Solution to care for your AIR OPTIX®COLORS contact lenses. Air Optix Colors Contact Lens in Gemstone Green- a vibrant green color that compliments brown, light brown, and blonde hair colors. Air Optix Colors Contact Lens in Brown- a subtle brown color that compliments all hair colors. The size is okay. Yay to natural iris size. Will say goodbye to big doll eyes for now. Honestly speaking there are times I think I look like a freak wearing big doll-like contact lenses. No offense to doll lenses fans. I've seen lots of pretty ladies who look good with big doll-like contact lens. I have clear vision from day to night. The contact lens are comfortable to wear as it lasted on my eyes for more than 8 hours. No irritation or redness seen while I have them on my eyes. It's easy to remove too. There are 9 colors to choose from. There are subtle and vibrant colors that compliments different skin tone and hair colors. Yay to a virtual try on studio. There are 9 different color contact lenses available to try on, making it an easy way to find the color that best fits me and you! The effects of the colors are more natural and doesn't look "pilit" (trying hard to pull off). I feel that I have healthy-looking eyes with Air Oprtix Colors. I guess for a monthly disposable contact lens, the price can be a little high if you're a budget conscious individual. Before opening your new contact lens, make sure that it is properly sealed. Sanitize your contact lens case/s first. What I do is soak the lens case in warm water for 5 minutes. Let your eye doctor teach you how to properly wear and remove them. Remember that even though you use your contact lens for aesthetic purposes only, it is still a medical device. You can also watch video tutorials on how to wear and remove them. REMEMBER: If you are using a monthly disposable lens, make sure you mark the exact date you first opened the contact lens in their packaging. That marks day 1. Even if you're not using them everyday, it still counts. So you will not count how many times you've worn them BUT how many days left from the day you opened them. I usually mark my contact lenses case the day I opened the packaging. DO NOT SLEEP with CONTACT LENSES on your eyes. I will not advise you to do that even if the product or brand says so. Make sure that you follow also how to use the contact lens solution. I, myself, wear contact lens too. Since both eyes don't have the same prescription. I need to buy them in a box. So it's six pairs for six months. I am using Biomedics at the moment but I am gonna check this out soon! Thanks for the review! Thanks for sharing your contact lens experience. I will highly recommend this brand to you. Yay! I love this new contact lenses. I am also in love wearing a contact lens. 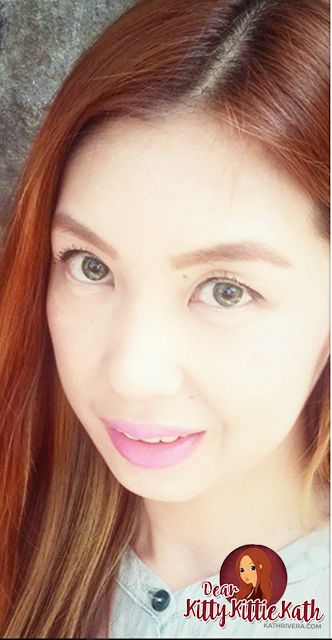 My favorite are colorblends gray and colorblends from freshlook contact lenses. Looking forward to try this new Air Optix Colors contact lenses, little pricey, thanks for this review. Thanks for sharing your experience. You should try Air Optix, even though it's pricey, worth it talaga! I always wanted to have green eye colour for some reason. Maybe i just like green colour. Now I can change my eye colour by colour contact lenses. Thanks to special contact lenses! I've had color contacts for years from another company (which I loved). Unfortunately that company is no longer offering color contacts. These contacts are awful! The center is clear and the outer ring is colored so whenever I move my eyes, an edge of the color band comes into my vision and distorts my sight. I ordered from VISION DIRECT and they do not give refunds. UGH. Thank you so much for sharing your experience with this brand of contact lens. May I know from which country you bought your lenses? We love this brand here in the Philippines. I have no problems with the style and comfort AirOptix gives to my eyes. I think it also depends on the wearer, I'm sorry to hear that you find this brand awful. Hope you'll find a brand of contact lens that will work for you.